Credit card interchange fees are usually high.The interchange fee could be anywhere between 2.5 to 3 %This is one of the reasons many businesses are moving to ACH payments in US.ACH payments service provided by most banks costs almost nothing ! Switching to ACH payments completely won’t be an easy option for most businesses as their current customers might be still paying them through credit cards. Solution : Accept credit card payments using a credit card processing software that sends commercial level 2 and commercial level 3 info to your processor. 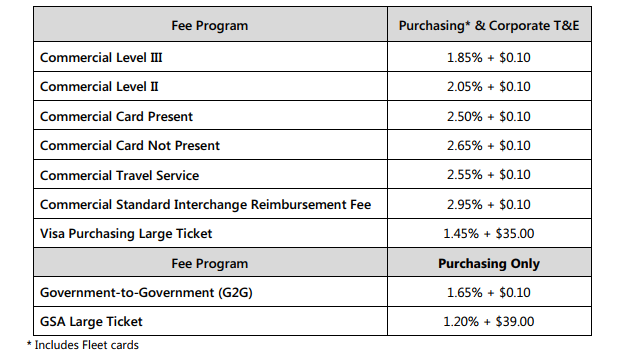 By including level 2 and 3 information your company will be able to achieve savings in interchange fee of upto 1% ! If the data is not in sync you will end up with a broken receivables process where your collections team might end up calling customers who had already paid your invoices. Most businesses would avoid taking a credit risk (unless it is a well-known customer)Credit card processors allow merchants to block a customer’s funds for a future payment. This method is called “Authorization” . By doing an Authorization the processor will be able to create a virtual block on you customer’s bank account without actually making the transfer. After 30 days your business can then trigger a capture request which will ensure that the money gets transferred to your business bank account. Let’s be frank no one wants to take the pain to enter a 16 digit credit card number every time they need to make a payment. By selecting a software that allows your customer to save their cards securely you will be enabling them to pay you easily !